SAGINAW TWP. — Suniva Inc., the Georgia-based manufacturer of high-quality, high-efficiency crystalline silicon photovoltaic solar cells and high-power solar modules, announced that construction of its second solar manufacturing plant has begun. The new plant, located in Saginaw Township, will provide up to 200 megawatts a year of additional capacity of its American-made solar modules, as a supplement to its existing manufacturing plant at its headquarters in Norcross, Ga. The new plant will be designed and engineered by Saginaw-based William A. Kibbe & Associates Inc. Suniva has selected multiple Michigan-based contractors to complete the 129,000-square-foot solar module assembly plant, located in the former Sears Warehouse building on Schust Road. Suniva posted more than 65 job openings on July 25 and is finalizing its initial round of hiring this week. Ultimately, the company plans to create a total of 350 jobs, as the plant scales to full capacity. 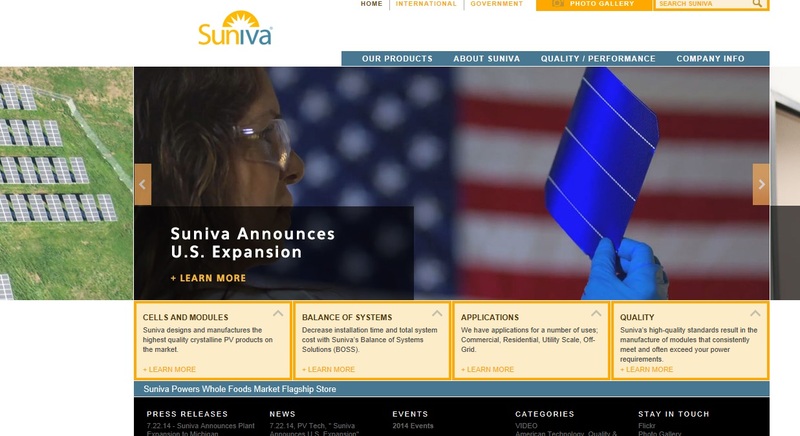 Suniva says the new plant also strengthens its position as America’s leading solar module manufacturer, employing a higher percentage of American workers than any other tier-1 solar manufacturer. The company currently produces its high-powered Optimus monocrystalline module line with power ratings up to 280 watts in a 60-cell format and an industry-leading 330 watts in a 72-cell format.